Here you can find list of features each version of program Media Library Studio. Features are described from initial version 1.00 plus additional features for each new version of program. Store content of media into file. List of records for each medium. Select directories that will not be included in content. Read CDDB info for adio CD. Setting visibility of record on medium. Setting visibility of file and subdirectories in directory on medium. Setting group for records on medium. Read IMDB info for movie. Show IMDB info for records as Tooltip for record. Finding all records for group in library. Finding specific record in library. Finding records with text in description (also from IMDB info) in library. State for medium bad, lend and etc..
LAN and other settings for program. Export whole library to Microsoft Excel file. Export only visible records or only movies to Microsoft Excel file. 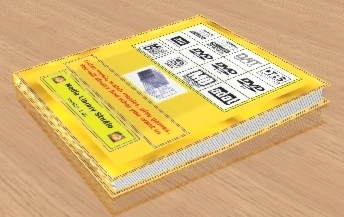 Printing DVD standard and slim covers for medium with records and groups for medium.